Today my Instagram Stories binge-watching was made interesting as Dolce & Gabbana’s Shanghai show has been cancelled due to screenshots. This is the story of how Stefano Gabbana and Michaela Tranova got into word war. How the latter exposed the conversation over Instagram Stories, and caused a chain reaction to create perhaps one of the biggest fashion scandals of the year. It started when Tranova called out Dolce & Gabbana for their tone-deaf promo of their Shanghai show, depicting a tutorial on how to use chopsticks. Gabbana hit back with a private message and reposting the first exchange on his Instagram Stories. PLEASE SHARE urs truly vs @stefanogabbana UPDATE: Sorry about the spelling mistakes guys, my adrenaline was pumping. This has all started thanks to my sister @helenatranova, so huge shout out to you little one ? Things escalated between Gabbana and Tranova in the DMs, to the point Gabbana allegedly called China a country of sh*t by the use of the poop emoji. Travano’s screenshots blew up and was picked up by @diet_prada. Chinese modeling agencies started pulling out of the show as Chinese celebrities invited to the front row have called for a boycott. Gabbana posted on his Instagram how his account was hacked. He claims that the DMs with the controversial comments aren’t his. It’s been pointed how that this claim is suspicious when he posted the first part on his exchange with Tranova on his Instagram Stories, as I mentioned earlier. But the fire is too widespread. The #DGTheGreatShow has been cancelled. I wonder how D&G will get out of this scandal. 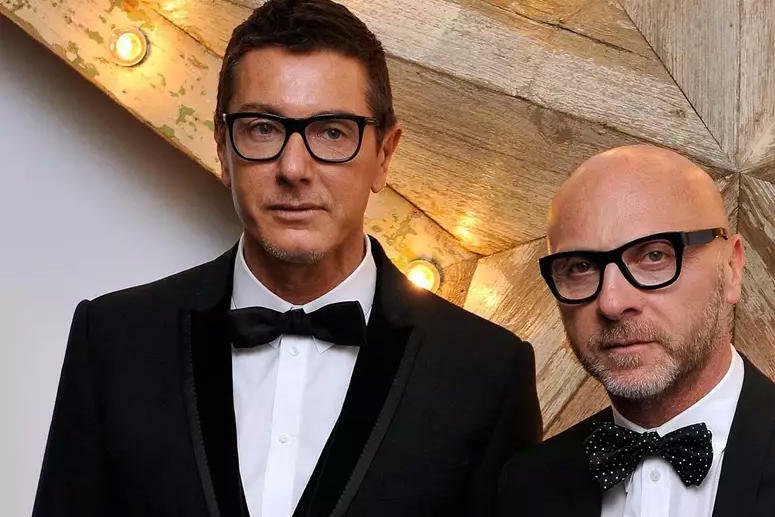 One must point out how this isn’t the first time Gabbana has been caught in controversy. He’s called Selena Gomez ugly, on Instagram, and dissed Kate Moss. Upon anti-Trump supporters declaring they’ll start to boycott the brand for supporting Melania Trump, D&G released shirts that had the hashtag #boycott as if to troll them.